Now Microsoft is ending development of Edge to build a new Chromium-based browser. Microsoft is ending development of Edge to build a new Chromium-based browser. Because the company has failed to grab the user’s attention for its Edge browser since launching back in 2015. Sources tell Windows Central that the browser isn’t long for this world and they are trying to provide its replacement for the user as early as this week. Microsoft Edge started with Windows 10 in 2015 with a redesign to replace Internet Explorer and modernize the default browsing experience to compete with Chrome and others. But it got a slow start because of its lack of features and bugs. The underlying browser engine (EdgeHTML) has struggled to keep up with Chromium. The software giant is finally decided to moving its default Windows 10 browser to Chromium. As per reports concern, Microsoft is now concentrating to build its own Chromium-based browser. Whereas the Chromium project is open source, allowing anyone to take the code and make a new browser just like Google makes Chrome, Microsoft is deciding to work on a modified version of Chromium’s Blink rendering engine called Anaheim. Though all of this is still early stages for the project that has been floating around but hoping that replacement will address some stability and compatibility issues that have hampered its adoption, like Edge the default browser. Hope that the next browser could work better on those ARM-powered Windows machines. So, the upcoming browser should render pages like Chrome. The company’s engineers have been working with Google to support a version of Chrome. 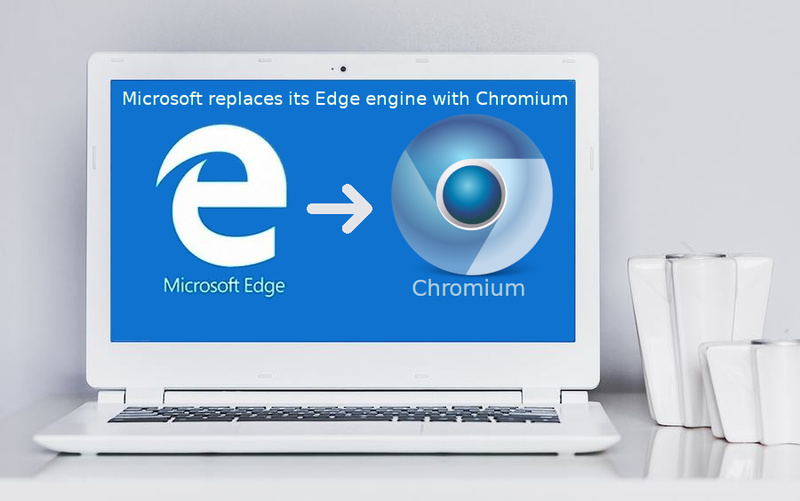 For the time being, Edge will be continuing, till the Chromium-based replacement will release around the first half of 2019. This is really a good news for those who want to use the web with the power of Chrome but without actually using Chrome.